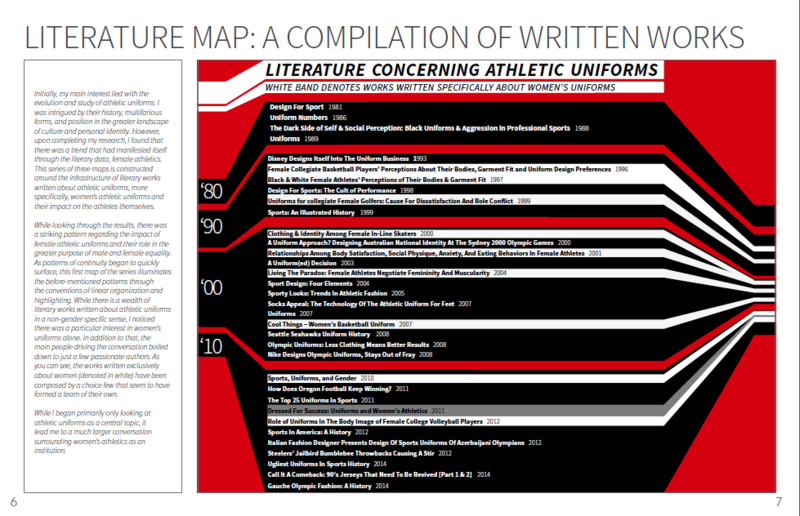 Digital Painting Studio, Spring 2016: Researched and compiled information on body specialization and it's effect on success in professional athletics. Designed an infographic to present relevant and distinguishing aspects of each individual and their specific event. This graphics is meant to provide an opportunity to see the differences of these extreme individuals at a glance and better understand the Olympic landscape. Illustration Studio, Fall 2015: An event poster modeled after the style of graphic designer Paula Scher. I chose an event based on The All-American Girls Baseball League; drawing historical references and pairing them with modern graphic constructs. 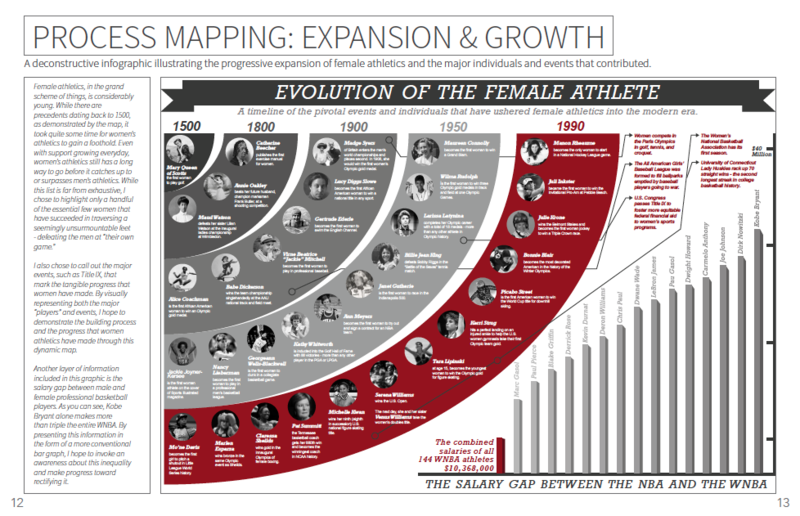 Visual Mapping & Data, Spring 2015: A semester-long project centered around a topic of my choice; Women's Athletics. 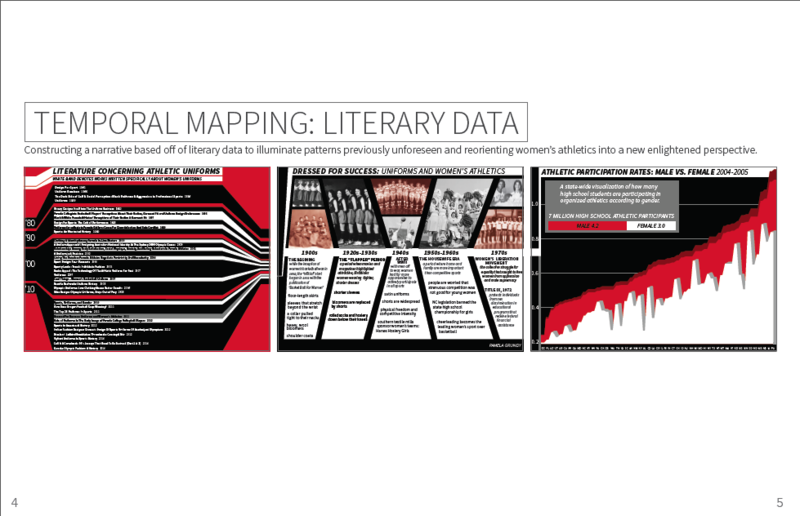 This first series of three maps addresses the literature surrounding the topic, as well as the history and the current data. 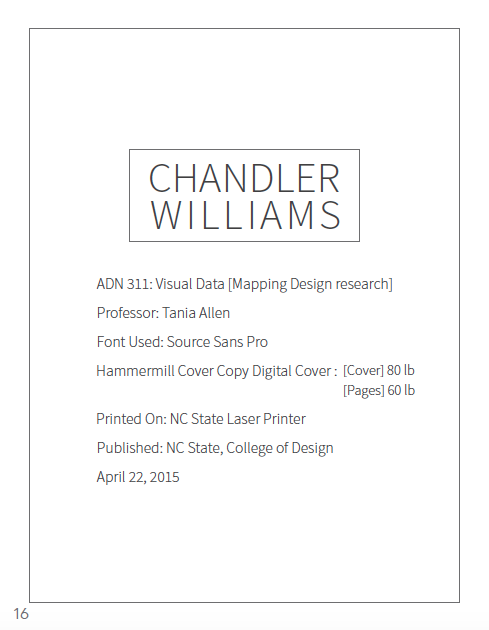 I used different graphic conventions to convey a large amount of information across a relatively small space. While maintaining an inherently athletic feel, I also wanted to pay homage to the history of the industry as well as where it's headed. 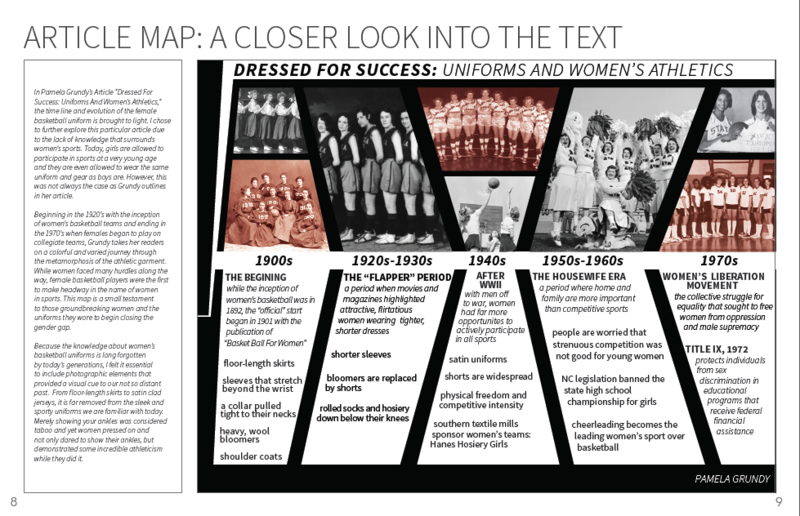 The second map is focused on an evolution or process within the topic. 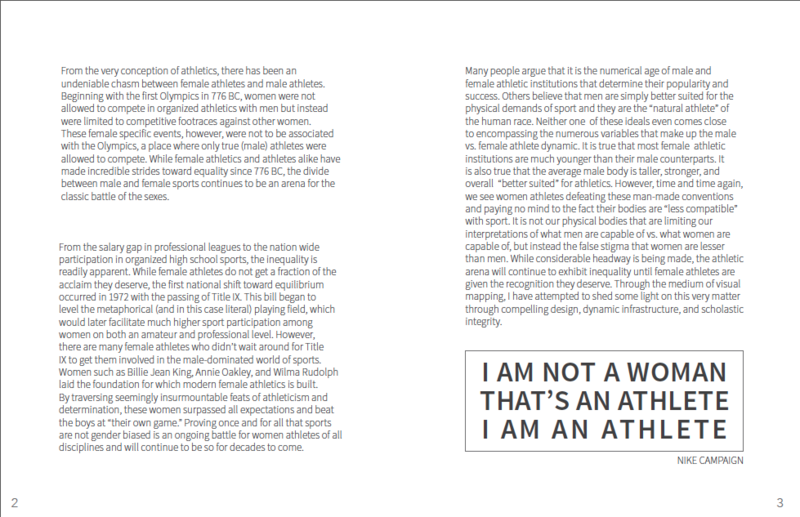 While this may seem like an abstract way of portraying a process, I aimed to convey the headway and progress these individuals and events have made in the realm of female athletics. While this list is by no means exhaustive, I attempt to highlight the major players and events within women's athletics. The bar graph represents the salary gap between the NBA and WNBA. 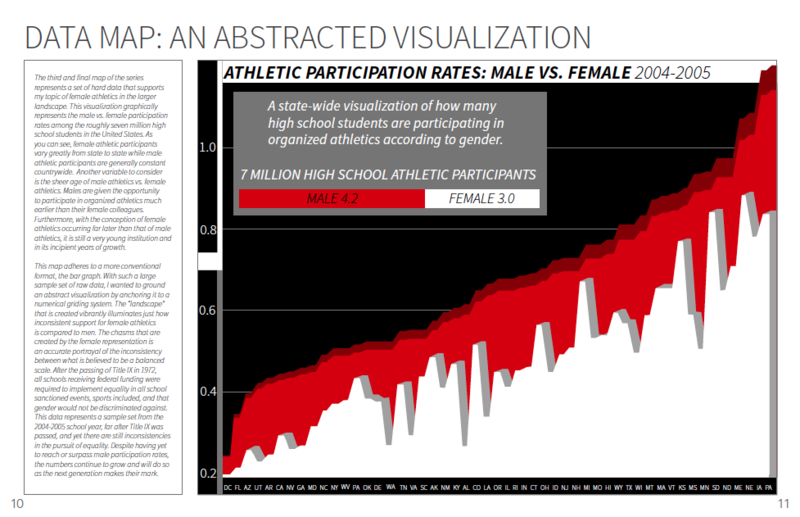 This presents quantitative data to juxtapose the qualitative data of the women and events. 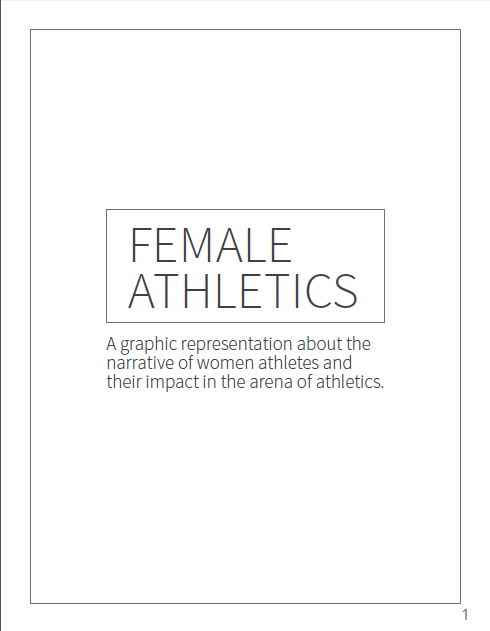 While this representation only captures a glimpse, this visual representation provides an overview of both the past and present situation that female athletes face. The third and final map showcases a geographic element overlaid with secondary information. 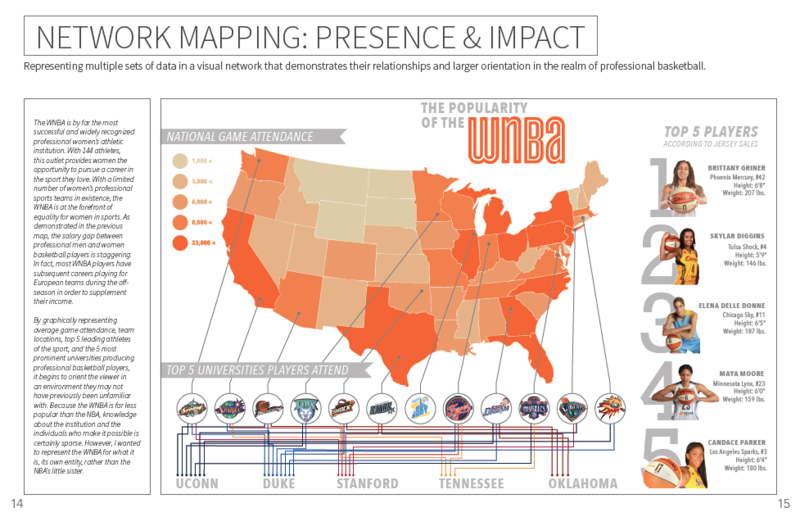 I chose the national popularity and game attendance for the WNBA as well as the most influential colleges contributing players to the professional league. Lastly, I highlighted the five most outstanding athletes of the WNBA to provide a photographic reference to these exemplary individuals. 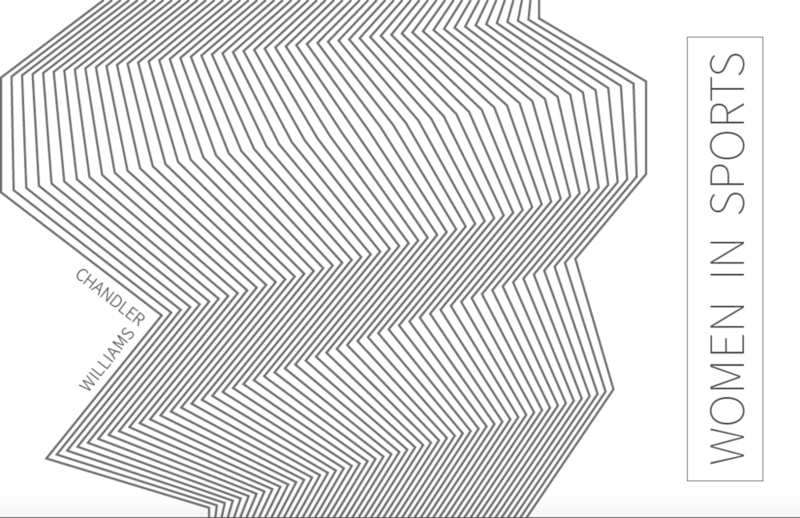 At the end of the semester all of the graphic maps were assembled into a composed booklet that displays the work chronologically and in relation to each other.